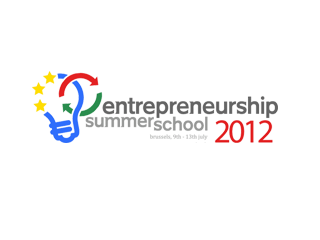 ThinkYoung and Google organized the second edition of the Entrepreneurship Summer School which was held from the 9th to the 13th of July. 10 entrepreneurs came to share their experience with the participants, all coming with different backgrounds and experience, different type of business, different way of ruling their company, different size of company. Diversity is probably a word to describe all the persons involved in this project. From ThinkYoung members, participants and entrepreneurs, all came with their own cultural identity and ideas, but with the same aim: sharing on entrepreneurship. More than entrepreneurial tips and direct advices from the successful entrepreneurs, the participants had a real experience. That was only possible thanks to the methodology brought by the European Institute for Industrial Leadership and the great work of research and organization of ThinkYoung team. To envision a European Silicon Valley, in the image and likeness of the original version in the San Francisco Bay, is more or less like seeing a mirage in the desert. Europe is a starry-eyed idealist, always taken aback by its own modesty. On Wednesday 11th of July, Mrs. Isabel Benjumea, founder and CEO of GREATNESS, spoke at the European Parliament to a group of young entrepreneurs from different nationalities, in a debate promoted by ThinkYoung’s Entrepreneurship Summer School. The stereotypes and the fear to fail is in most cases the biggest barrier to a more entrepreneurial oriented class in Europe. Is the European youth entrepreneurial oriented? The data don’t show it, but the answer is simple and clear - yes. Between the 9th and the 13th of July Brussels hosted the second edition of ThinkYoung’s Entrepreneurship Summer School to which 70 participants from 19 countries came, expressing Europe’s multicultural.